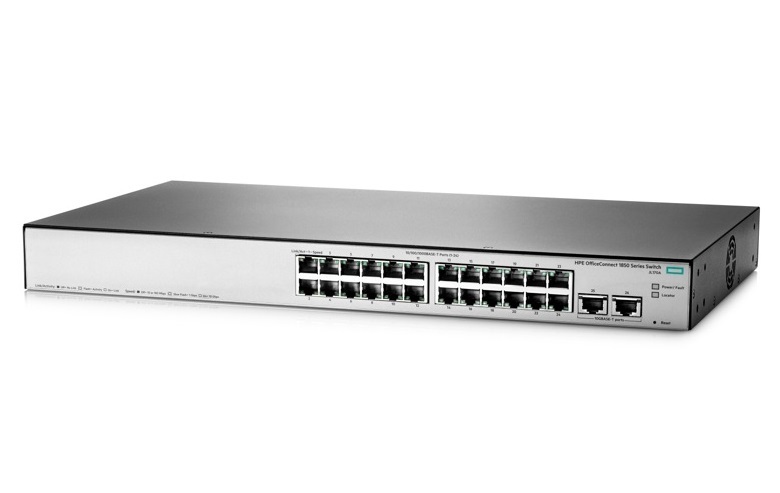 • The HPE OfficeConnect 1850 Switch Series offers choice and flexibility with a complete portfolio of Gigabit and 10 Gigabit basic smart managed Layer 2 switches. 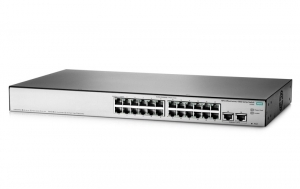 • The series consists of four Gigabit switches including PoE+ and non-PoE models, each with 10GBASE-T uplinks and one 8-port 10G aggregator switch with eight 10GBASE-T and two dual personality SPF+ ports that delivers 10G connectivity to the edge switches. • Spanning Tree Protocol (STP) and Rapid Spanning Tree Protocol (RSTP) provides redundant links while preventing network loops. • The HPE OfficeConnect 1850 Switch Series features an intuitive Web management interface with an enhanced navigation pane for easy management of devices by non-technical users. It is ideal for organizations that require simplicity. • Customizable features include VLANs, Spanning Tree, Link aggregation, and IGMP Snooping. All models include Rapid Spanning Tree Protocol (RSTP) and DSCP Quality of Service (QoS) policies. • These switches support flexible installation options, including mounting on walls, under tables or on desk tops. • The HPE OfficeConnect 1850 Switch Series traffic prioritization provides time sensitive packets (like VoIP and video) with priority over other traffic based on DSCP or IEEE 802.1p classification. Packets are mapped to eight hardware queues for more effective throughput. • Broadcast control allows limiting of broadcast traffic rate, to reduce unwanted network broadcast traffic. • IEEE 802.11p/Q delivers data to devices based on the priority and type of traffic.